"Hotspot: Camden Street – Dublin. If there’s one thing we love to do it’s eat and drink, and one of our favourite spots in Dublin to do just that is Camden Street. We all know that this street is filled with party goers at the weekends but over the last few years it’s had some really interesting new social additions. Here’s some of our favourite places to go." 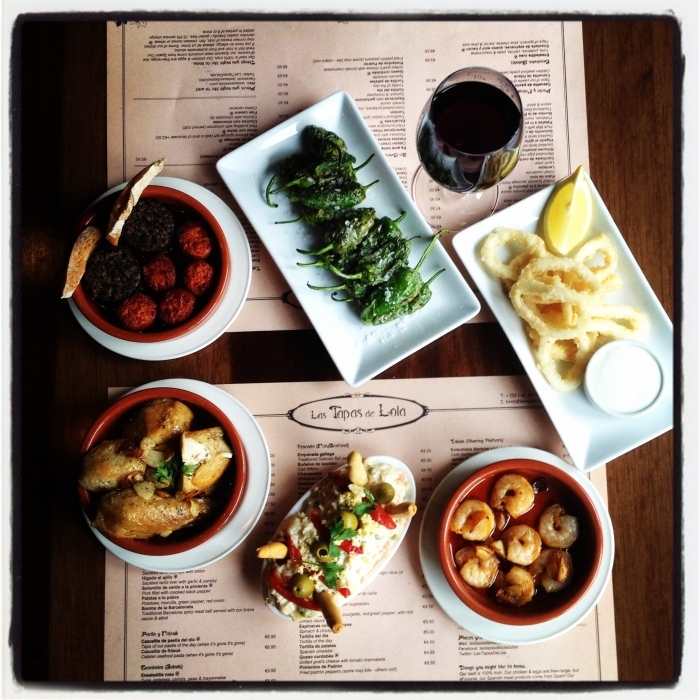 Step into a little Spain with Tapas de Lola. It serves up some of the most delicious Spanish dishes in our fair city but be warned, booking in advance is essential to get a table! The new kids on the Camden Street block are Camden Exchange, a cool new restaurant and bar with a trendy edge. If it isn’t the van in the bar that wins you over it’ll be good grub and funky beats. If you’re a fan of craft beers then Against The Grain has you covered. It’s a cosy pub with seating out the front for a sunny day. The competition for Thai food in Dublin is growing but one of our favourites has to be Neon. The informal setting, reasonably priced food and delicious Thai tastes make us go back every time. If you’re looking for a cheap eat then Green 19 wins every time. The place is always buzzing, and not just for the grub, their cocktails are divine! Located on the road just off Camden Street (opposite Tesco), this delightful little restaurant has the flair of a New York bistro. Perfect of a Saturday night occasion or a casual mid-week eat. Another amazing Thai on this social street is Opium, but it’s not just the food that draws us there – the cocktail menu is quite simply delicious. At the weekends it’s heaving with people ready to dance until the early hours, and with the bars on different levels, you can mix up the music all night. One of the newest establishments to join the area is Delahunt. Between it’s modern take on traditional food, cosy snug and relaxed atmosphere, it’s a great place to get a group of friends together. The more you tip.. the more we donate!